Partners Bronze statue of Walt Disney and Mickey Mouse installed in the hub at Disneyland park on November 18, 1993, to commemorate the 65th birthday of Mickey Mouse. Master Disney sculptor Blaine Gibson came out of retirement to create the sculpture. Identical statues were installed at Magic Kingdom Park at Walt Disney World on June 19, 1995, at Tokyo Disneyland on April 15, 1998, at Walt Disney Studios Paris on July 19, 2002, and at the Disney Studio in Burbank on February 10, 2003. Many guests wonder about the STR symbol on Walt Disney’s tie; it refers to Smoke Tree Ranch, a development in Palm Springs, California, where he had a vacation home. Gibson also sculpted a statue of Walt Disney’s brother, Roy O. Disney, on a bench with Minnie Mouse, which was installed in Town Square at the Walt Disney World Magic Kingdom on October 1, 1999, and dedicated on October 25. 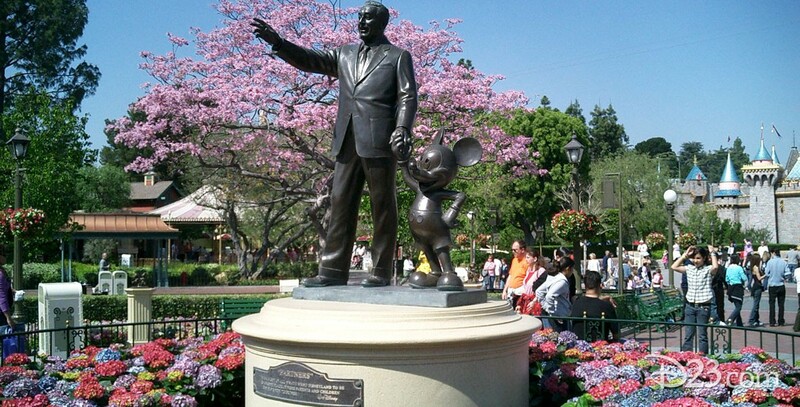 A copy of that statue was also installed at the Disney Studio in Burbank on February 10, 2003. There is also a Roy/Minnie statue in World Bazaar at Tokyo Disneyland.